Torch Body, Extended Life Organics Analyses, for PerkinElmer Optima 4300V/5300V/7300V. This is an exact match OEM replacement demountable quartz torch for PerkinElmer Optima 4300V, 5300V and 7300V vertical ICP-OES instruments (N0771561). This torch has 3 slots, an alignment decal and is designed to last longer under organic analysis conditions. 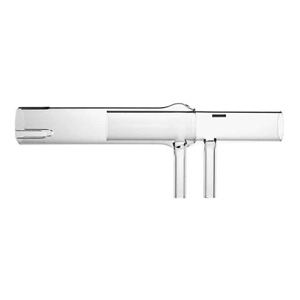 The torch does not include an injector or injector supports.Texas Scientific Products offers injectors of various sizes in both quartz and alumina.